What is post-ism about? The humanities are a scholarly institution in which human culture is thematized, investigated, and analyzed. They do it in the special way we call ‘scholarly’ or, in most other languages, ‘scientific’. But, nevertheless, they belong to the culture they take as their subject matter of knowledge and cognition. This is, of course, the case in historical studies as well. When public history is addressed as a special aspect of historical studies and history didactics, this functional disposition is evident. This relationship between the practice of historians and the public use of history should be subjected to reflection. What role does it play in the work of historians? I observe current tendencies in the humanities and cultural sciences that challenge such a reflection. For decades, ‘postmodernism’ was the name for a new concept of how to understand the human world. However, it has not become clear what ‘post’ really means. Does it place the present into a period after modernity, or is it only a variant of modernity, sometimes called ‘reflexive modernity’? The doubts about the temporal place of thinking about modernity have not yet been overcome. On the contrary: the prefix ‘post’ has acquired an inflationary use. You find it now in very many attempts to signify the specific contemporaneity of dealing with cultural phenomena of the present. These attempts are regularly combined with the claim to present new ways of obtaining insights into current developments in the human world and into the historical dimension of culture. I list some findings (I am sure that there are many more): post-modern, post-structuralist, post-constructivist, post-national, post-nationalsocialist, post-communist, post-Stalinist, post-industrialist, post-secular, post-human, post-humanist, post-discursive, post-feminist, post-black, post-capitalist, post-colonial, post-narrativist, post-naturalist, post-positivist, post-orientalist, post-racial, post-theoretical, post-heroic. What does this inflation of “posts”, of this “post-ism” mean? For me, the answer to this question is clear: using the prefix of ‘post-‘ in a terminological way is a form of signifying the temporal position in the discourses about human culture. The authors state that they do not know the place of the argument in the development of the discipline. They can only name it by a temporal negation. They place themselves after something, thus expressing where they are not (or better: no longer), without being able to name the historical place of their thinking by a positive designation. To put it frankly: they have lost the ground of history under their feet. History is a meaningful interrelationship between past, present, and future. It is based on the experience of the past, the interpretation of which makes the present understandable, and opens up a future perspective. History provides a temporal orientation in and about the life circumstances of the present. This orientation dissolves, or is at least enormously limited, if one’s own life is positioned after something. The historical basis of the present is the past in the movement of passing away. This has the consequence that the future perspective is also negatively defined. The future is no longer regarded as something promising, but appears only as a result of a negation. To quote a typical example: in an investigation of practical history in Germany, the author characterizes the Federal Republic of Germany as a “postnationalsozialistische Einwanderungsgesellschaft” (post-nationalsocialist immigration society). What does this say about Germany? It is no longer dominated by national socialism; the Germans are no longer Nazis. But what they really are is eclipsed – citizens of a democracy, members of a civil society, committed Europeans, etc? They are challenged by immigration. Immigrants demand a new understanding of Germany and its entire organization so that they can find a place for their lives in it and develop a livable identity. The potential for this change–the democratic political culture of Germany–is not mentioned. The historical dimension within which the answer to the challenges of migration can and has to be found is reduced to the simple fact that the Germans are no longer Nazis. This does not open up a promising future perspective. The future is empty; it is only a leftover of the past. This empty future can be found in many other post-isms. ‘Post-capitalist' means that the promises of socialism and communism have lost their credibility. Do we really understand our present economy and its historical development by stating that its future may be anything but capitalist? Another, and even more fundamental case of post-ism, is the assertion that we, as humans, are assuming a ‘post-human’ character. What does this mean for our identity as humans? It simply means that the achievements of humanity during thousands of years are light-handedly thrown overboard. Does this include the basic humanistic idea of the dignity of man and the validity of human and civil rights? The term ‘post-human’ seems to confirm this. The loss of historical orientation that I observe can also be found in meta-history, in a more conceptual way. We find the widespread opinion that history is nothing in the past, but only a present view on the past. The past has no longer anything to say to the present, not to speak of ‘moving’ it. It has become silent. I do not think that history is a temporal formation of the past that the present can only register. Without elements of meaning coming from the past and being effective in historians´ work, history can’t be approached in a convincing way. It is high time to leave the empty space of ‘being after’ and to represent the past by historical thinking in such a way that the present finds itself in the temporal realm of human culture and people know who they are. Rüsen, Jörn. Historik: Theorie der Geschichtswissenschaft. Köln et al. : Böhlau, 2013. Rüsen, Jörn. “Dimensioning Historical Culture.” In Historia Vid Skiljevägen. Historiekulturella Sonderingar När Och Fjärran, edited by Johan Dietsch, Maria Karlsson, Johan Stenfeldt and Ulf Zander, 61-82. s.l. : Agerings, 2015. Beck, Ulrich / Bonn, Wolfgang (eds. ): Die Modernisierung der Moderne. Frankfurt am Main: Suhrkamp 2001. Rüsen, Jörn: Post-ism. The Humanities, Displaced by their Trends. In: Public History Weekly 4 (2016) 27, DOI: dx.doi.org/10.1515/phw-2016-6895. Was ist Post-ismus? Die Geisteswissenschaften sind eine Institution der Wissenschaft, in der die menschliche Kultur thematisiert, untersucht und analysiert wird. Sie betreiben dies in einer besonderen Art, die wir ‘gelehrt’ oder in den meisten anderen Sprachen ‘wissenschaftlich’ nennen. Gleichwohl gehören die Geisteswissenschaften eben der Kultur an, die sie zugleich als Gegenstand ihres Wissens und ihrer Erkenntnis voraussetzen. Dies gilt natürlich auch für die Geschichtswissenschaft. Wenn nun Public History als ein besonderer Aspekt der Geschichtswissenschaft und Geschichtsdidaktik angesprochen wird, kommt diese funktionale Disposition deutlich zum Vorschein. Die Beziehung zwischen der Praxis von HistorikerInnen und der öffentlichen Verwendung von Geschichte sollte eingehend reflektiert werden. Welche Rolle spielt sie in der Arbeit von HistorikerInnen? Ich beobachte gegenwärtig Tendenzen in den Geistes- und den Kulturwissenschaften, die eine solche Reflektion in Frage stellen. Über Jahrzehnte war ‘Postmodernismus’ der Name eines neuen Konzepts davon, wie die menschliche Welt verstanden werden sollte. Allerdings ist bis heute nicht klar geworden, was ‘Post-‘ eigentlich bedeutet. Lokalisiert es die Gegenwart in einer Zeit nach der Moderne, oder ist es nur eine Variante der Moderne, die mitunter ‘reflexive Moderne’ genannt wird? Die Zweifel an der zeitlichen Bestimmung des Nachdenkens über die Moderne sind noch nicht überwunden worden. Im Gegenteil: die Vorsilbe ‘Post-‘ hat eine inflationäre Verwendung erfahren. Man findet sie nunmehr in vielen Versuchen, die spezifische Gleichzeitigkeit des Umgangs mit kulturellen Phänomenen der Gegenwart zu kennzeichnen. Diese Versuche werden regelmäßig mit dem Anspruch verbunden, ganz neue Wege zu präsentieren, die Einsichten in die gegenwärtigen Entwicklungen der menschlichen Welt und in die historische Dimension von Kultur liefern. Ich zähle einige Fundstücke auf (ich bin sicher, es gibt viel mehr): post-modern, post-strukturalistisch, post-konstruktivistisch, post-national, post-nationalsozialistisch, post-kommunistisch, post-stalinistisch, post-industriell, post-säkular, post-human, post-humanistisch, post-diskursiv, post-feministisch, post-black, post-kapitalistisch, post-kolonial, post-narrativistisch, post-naturalistisch, post-positivistisch, post-orientalistisch, post-rassisch, post-theoretisch, post-heroisch. Was bedeutet diese Inflation der ‘Post-s’, dieses ‘Post-ismus’? Für mich ist die Antwort auf diese Frage klar: die terminologische Verwendung der Vorsilbe ‘post-‘ ist eine Art, die zeitliche Position der Diskurse über die menschliche Kultur zu kennzeichnen. Die jeweiligen AutorInnen stellen damit fest, dass sie den disziplinhistorischen Platz ihrer Darlegungen nicht kennen. Sie können diesen Platz nur durch eine zeitliche Negation benennen. Sie verorten sich nach etwas und drücken damit aus, wo sie nicht (oder besser: nicht mehr) sind; sie sind nicht in der Lage, den historischen Ort ihres Denkens durch eine positive Bezeichnung zu benennen. Um es freiheraus zu sagen: sie haben den historischen Boden unter ihren Füßen verloren. 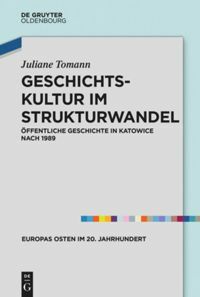 Geschichte ist eine bedeutungsvolle Wechselbeziehung zwischen Vergangenheit, Gegenwart und Zukunft. Sie fußt auf der Erfahrung von Vergangenheit, deren Interpretation die Gegenwart verständlich macht, und öffnet eine Perspektive für die Zukunft. Geschichte liefert eine zeitliche Orientierung in und über die Lebensumstände der Gegenwart. Diese Orientierung löst sich auf, oder ist zumindest enorm eingeschränkt, wenn das eigene Leben “nach etwas” positioniert wird. Die historische Basis der Gegenwart ist die Vergangenheit in der Bewegung ihres Verschwindens. Die Konsequenz dessen ist, dass auch die Zukunftsperspektive negativ definiert wird. Die Zukunft wird nicht länger als etwas Verheißungsvolles erwartet, sondern erscheint nur als das Ergebnis einer Negation. Um ein typisches Beispiel zu zitieren: In einer konkreten geschichtswissenschaftlichen Untersuchung in Deutschland charakterisiert die Autorin die Bundesrepublik als eine “postnationalsozialistische Einwanderungsgesellschaft”. Was sagt dies über Deutschland aus? Es ist nicht mehr vom Nationalsozialismus dominiert; die Deutschen sind keine Nazis mehr. Aber was sie wirklich sind, wird ausgeblendet – BürgerInnen einer Demokratie, Mitglieder einer Zivilgesellschaft, engagierte EuropäerInnen usw.? Sie sind durch Einwanderung herausgefordert. EinwanderInnen verlangen ein neues Verständnis von Deutschland und seiner gesamte Organisation, um darin einen Platz zum Leben zu finden und eine lebenswerte Identität entwickeln zu können. Das Potential für diese Veränderung – Deutschlands demokratische politische Kultur – kommt nicht vor. Die historische Dimension, innerhalb der die Antwort auf die Herausforderungen der Immigration gefunden werden kann, wird auf das einfache Faktum reduziert, dass die Deutschen keine Nazis mehr sind. Dies eröffnet keine allzu verheißungsvolle Zukunftsperspektive. Die Zukunft ist leer, sie ist lediglich ein Überbleibsel der Vergangenheit. Diese leere Zukunft findet sich auch in vielen anderen Post-ismen. “Post-kapitalistisch” bedeutet, dass die Verheißungen des Sozialismus und Kommunismus ihre Glaubwürdigkeit verloren haben. Verstehen wir unsere jetzige Ökonomie und ihre historische Entwicklung wirklich, wenn wir sagen, dass ihre Zukunft alles andere als kapitalistisch sein kann? Ein weiterer, noch grundlegender Fall von Post-ismus ist die Behauptung, dass wir, als Menschen, einen “post-humanen” Charakter annehmen. Was bedeutet das für unsere Identität als Menschen? Es bedeutet schlicht, dass die Errungenschaften der Menschheit über Tausende von Jahren leichtfertig über Bord geworfen werden. Doch schließt dies die grundlegende humanistische Idee der Würde des Menschen und die Gültigkeit von Menschen- und Bürgerrechten ein? Der Terminus “post-human” scheint das zu bestätigen. Der Verlust von historischer Orientierung, den ich beobachte, findet sich auch in der Historik, auf eine mehr konzeptuelle Art. Wir finden die weitverbreitete Meinung, Geschichte liege nicht in der Vergangenheit, sondern sei bloß eine heutige Sicht auf die Vergangenheit. Die Vergangenheit hat der Gegenwart nichts mehr zu sagen, geschweige denn sie zu “bewegen”. Sie ist stumm geworden. Ich glaube nicht, dass Geschichte lediglich eine zeitliche Ausformung der Vergangenheit ist, die die Gegenwart lediglich registrieren kann. Ohne Elemente der Bedeutung aber, die aus der Vergangenheit kommen und in der Arbeit von HistorikerInnen wirksam sind, kann Geschichte nicht überzeugend behandelt werden. Es ist höchste Zeit, den leeren Raum des “Nach-etwas-Seins” zu verlassen und die Vergangenheit durch historisches Denken so darzustellen, dass die Gegenwart sich in den zeitlichen Gefilden der menschlichen Kultur befindet und die Menschen wissen, wer sie sind. Rüsen, Jörn: Historik. Theorie der Geschichtswissenschaft. Köln 2013. Rüsen, Jörn: Dimensioning Historical Culture. In: Dietsch, Johan / Karlsson, Maria / Stenfeldt, Johan / Zander, Ulf (Hrsg): Historia Vid Skiljevägen. Historiekulturella Sonderingar När Och Fjärran. Agerings 2015, S. 61-82. Przychodzen, Janusz, Discourses of Postmodernism. Multilingual Bibliography: http://www.umass.edu/complit/aclanet/SyllPDF/JanuList.pdf (letzter Zugriff 2.8.2016). History Theory in Discussion. Controversies on Historical Thinking [Historik im Widerstreit. Kontroversen über historisches Denken]: Academia.edu 2015 – https://www.academia.edu/16490741/Historik_im_Widerstreit_Kontroversen_%C3%BCber_historisches_Denken (letzter Zugriff 5.8.2016). Beck, Ulrich / Bonß, Wolfgang (Hrsg. ): Die Modernisierung der Moderne. Frankfurt a.M. 2001. Vgl. Messerschmidt, Astrid: Historisch-politische Bildungsarbeit in der postnationalsozialistischen Migrationsgesellschaft. Erinnerung im Kontext von Rassismus und Antisemitismus. In: Zeitschrift für Genozidforschung 14 (2013), S. 20-39. Mason, Paul: Postkapitalismus. Grundrisse einer kommenden Ökonomie. Frankfurt a.M. 2016. Runia, Eelco: Moved by the Past: Discontinuity and Historical Mutation. New York 2014. Rüsen, Jörn: Post-ismus. Die Geisteswissenschaften, ver-rückt durch ihre Trends. In: Public History Weekly 4 (2016) 27, DOI: dx.doi.org/10.1515/phw-2016-6895. A restart with immediate, short, but thought-provoking input. Keep going! 1. For the question raised about by the respective constitutive roles of history and past: History is indeed the current view onto the past, but neither “just” nor even “unfortunately”. This qualification and character is not a defect, but rather the condition of its existence. To my understanding, presented with a choice between a “story” and representation of the past in scale 1:1 (see the example of the map in Dantos’ work), one should not opt for the latter, because it provides no guidance, no orientation, and therefore will mean less. On the other hand, as Rüsen stresses in his contribution, the reference to a real past is also necessary for writing or thinking history. History is not the past, but without the past, there is no history. A tale about a fictional world also provides no guidance in the real one. From this angle, I don’t see any reason for criticism as to the state of “Historik”, with the one exception of some historians and members of the public, who still uphold the idea of a complete, non-perspectival knowledge of the past (incl. non-cognitive perception) and who might, if they acknowledge history to be a construct, deplore this by adding “only”, thus declaring it deficient in comparison to their ideal. But the problem the is not the theory of History but rather the persisting fiction of objectivity. 2. More important is Rüsen’s questioning the abundance of “post”s. Do they really constitute vain, empty qualifications, as he suggests? To be true: To refer to an epoch as “post”-something does not contain any positive qualifying time of it. But why is this considered to be un- or a-historical, haveing “lost the ground of history” under one’s feet? However strong we might wish for a further, positive qualification of how a time refers it is past, the “post”-qualification is a condition for it. Doesn’t this “post” mark the specific historical condition (retrospectivity) in the first place, qualifying the “without” which it embraces from that one which is contained in the “before” or “ante”? The times before the Holocaust and the era afterwards are “without” it. But they differ in the specific way which only in signalled by the “post”. The Holocaust (or every other historical phenomenon) may be finished, but it still is present in that people have experienced it, can relate to it, and are affected by its aftermath and effects. To live “after” Auschwitz is “without” Auschwitz — but not in the sense that “before” Auschwitz was. Whatever reasons have to declare some phenomenon gone — be it that they have been liberated and feel the absence of being incarcerated, enslaved, etc., be it that they feel some loss of power, none of them can pretend to be back to the state of things before it started. The case of colonialism is instructive: Where the term “de-colonization” may delude by connotating the total annihilation of colonialism, the concept of “post-colonialism” refers to the (complex and equivocal) fact of colonial rule and experiences having a plethora of ongoing consequences. In this sense, “post” is but the specific historiographical prefix marking the retrospective perspective on something that is not the case anymore, but what has been real and which still bears effects. It is also true that the talk of “post” referring to our present does not indicate what qualifies this our time a positively. But again: It is not the task of the Historian to qualify the present by criteria not referring to the past (it is something some sociologists do by way of “diagnosing the present”). What history is about is not any qualification of the present but about what it owes to things and structures past. What is more problematic in all the “Posts” Rüsen cites is the “isms” they refer to. To a certain extent, these highly abstract “post-isms”-terms suggest that there were rather clearly defined complexs of societal characteristics and logics (-isms), which have been overcome (post) altogether. But then, if that were the case, they would not be so intersting for history and historians. What makes us refer to the past and to study and reflect it, is not the state of such big complexes as being past, but rather the questions of whether and in how far their ongoing or new effects affect us and can be of guidance. This is where the “-isms” and therefore the “post-isms” may be misleading. If I am doing postcolonial history, I am not (only) interested in the colonialism being over, but in what has been left of it, how some features have persisted, or are still affecting us today, in what our knowledge not of it being over in general but of concrete aspects means for our lives today. So if we say “post-“, we should not mean the time being over, but the time we refer to. For retrospective (historical) thinking, nothing is really ever “over”. 1. Für die Frage nach den jeweiligen konstitutiven Rollen von Geschichte und Vergangenheit: Die Geschichte ist in der Tat die aktuelle Sicht auf die Vergangenheit, aber weder “nur” noch “leider”. Diese Qualifikation und Charakter ist kein Defekt, sondern die Bedingung ihrer Existenz. Bei einer Wahl zwischen einer “Story” und einer Darstellung der Vergangenheit im Maßstab 1:1 (siehe das Beispiel der Landkarte bei Dantos), sollte man sich nicht für letztere entscheiden, weil sie keine Orientierung bietet, und deshalb weniger bedeutend ist. Andererseits: Wie Rüsen in seinem Beitrag betont, ist der Bezug zur wirklichen Vergangenheit ebenso notwendig für das Schreiben oder Denken von Geschichte. Die Geschichte ist nicht die Vergangenheit, aber ohne die Vergangenheit gibt es keine Geschichte. Eine Geschichte über eine fiktive Welt bietet ebenso wenig Orientierung in der realen. Unter diesem Gesichtspunkt erkenne ich keinen Grund für Kritik an der Historik — allenfalls mit Blick auf einige Historiker und Teile der Öffentlichkeit, welche immer noch die Idee einer vollständigen, nicht-perspektivischen Kenntnis der Vergangenheit vertreten (einschließlich nicht-kognitiver Wahrnehmung) und wohl daher, wenn sie denn den Konstruktcharakter von Geschichte anerkennen, dies immer mit dem Zusatz “nur” tun, und sie so als defizitär gegenüber ihrer Idealvorstellung erklären. Aber das Problem ist dann nicht die Theorie der Geschichte, sondern die Persistenz der Objektivitätsfiktion. 2. Wichtiger ist Rüsens Problematisierung der Fülle der “Post”s. Sind sie wirklich eitel, leere Qualifikationen, wie er meint? E stimmt, sich auf eine Epoche zu beziehen mittels “post” enthält keine positive Bestimmung von ihr. Aber warum wird dies als un- oder a-historisch angesehen, ohne “historischen Boden unter den Füßen”? So sehr man eine weitere Bestimmung mit der Art und Weise des Bezugs auf das Vergangene wünscht, das “post” ist eine Bedingung dafür. Denn ist das Markieren einer Zeit mit der Vorsilbe “Post-” nicht auch die historische Qualifizierung par excellence? Unterscheidet es nicht in spezifischer, retrospektiver Weise das in ihm steckende “ohne” von demjenigen, das auch im “bevor” steckt? Die Zeit vor dem Holocaust und der Zeit danach können beide als “ohne” ihn bezeichnet werden. Aber sie unterscheiden sich in der spezifischen Art und Weise, die nur durch das “post” signalisiert. Der Holocaust (oder jedes andere historische Phänomen) kann beendet werden, aber er ist immer noch dadurch vorhanden, dass die Leute ihn erfahren haben, sich auf ihn beziehen können, und von seinen Folgen und Auswirkungen betroffen sind. “Nach” Auschwitz zu leben ist “ohne” Auschwitzt, aber nicht in dem Sinne, wie es “vor” Auschwitz war. Welche Gründe man immer auch haben mag, eine Zeit, ein Phänomen zu beendet zu erklären – sei es, dass jemand befreit wurde, und nun die Abwesenheit der Gefangenschaft oder der Versklavung fühlen, sei es, dass jemand einen Verlust an Macht und Einfluss bemerkt — keiner von ihnen kann so tun kann, als wäre er zurück in dem Zustand, bevor sie angefangen hat. Der Fall des Kolonialismus ist lehrreich: Wenn der Begriff “Entkolonialisierung” insofern irreführen kann, er könne die totale Abschaffung kolonialer Strukturen bezeichnen, so bezieht sich das Konzept des “Postkolonialismus” sich auf die (komplexe und mehrdeutige) Tatsache der Kolonialherrschaft und Erfahrungen mit ihrer Fülle an weiter bestehenden Folgen. In diesem Sinne ist “post” das spezifische historiographische Präfix, das die retrospektive Sicht auf etwas markiert, das nicht mehr der Fall ist, aber wirklich war und was noch Effekte besitzt. Es ist auch wahr, dass die Rede von “Post-” unter Bezugnahme auf unsere Gegenwart nichts darüber aussagt, was diese positiv ausmacht. Aber noch einmal: Es ist nicht die Aufgabe des Historikers, die Gegenwart mit Hilfe unhistorischer Kriterien zu qualifizieren. Das ist etwas, das manche Soziologen als Gegenwartsdiagnose tun. Worum es bei Geschichte geht, ist doch die Bestimmung der Gegenwart in ihrem Verhältnis zu Vergangenen. Was wirklich problematisch in allen “Post-isms”, die Rüsen zitiert, sind die “Ismen” selbst, auf sie sich beziehen. Zu einem gewissen Grad deuten diese sehr abstrakten “post-Ismen”-Klauseln an, es ginge um ziemlich klar abgegrenzte Komplexe gesellschaftlicher Eigenschaften, die vollständig überwunden wären. Wenn das aber der Fall wäre, wären sie nicht so interessant für die Historiker. Was uns dazu bewegt, uns auf die Vergangenheit zu beziehen und sie zu studieren sowie zu reflektieren, ist nicht die Eigenschaft dieser großen Komplexe, vergangen zu sein, sondern vielmehr die Frage, ob und in wie weit ihre weiter oder anders wirkenden Folgen für uns von Bedeutung sind. Dies ist es, wo die “Ismen” und damit die auch “post-Ismen” irreführend sein kann. Wenn ich postkoloniale Geschichte betreibe, bin ich nicht daran interessiert, dass der Kolonialismus vorüber ist, sondern daran, was von ihm übrig geblieben ist, was uns heute (noch oder anders) beeinflusst. Wenn wir also “Post-” sagen, sollten wir nicht auf die Zeit beziehen, die vergangen ist sondern auf die Zeit, zu der wir denkend und fragend zurückkehren, weil es eben nicht ganz vorbei ist. Für das retrospektive Denken ist nichts ist wirklich jemals “vorbei”. That modern – or here “postmodern” – people have lost the “historical ground beneath their feet” has been part of the topoi of conservative thinking since Edmund Burke’s “Reflections on the Revolution in France”. In this sense, one could react with a shrug of the shoulders and concentrate on the grain of truth in Jörn Rüsen’s contribution: there really are too many “post-isms” around and they are occasionally traps for a cozy form of self-description. I agree with Andreas Körber’s interesting critical comments. However, Rüsen’s criticism has to do with fundamental problems of his theory: what is up for negotiation is the relationship between historical thinking and contingency and – since Edmund Burke! – modernity. Rüsen’s anthropological model calls on people to, with the help of historical thinking, process and overcome the contingency of time narratively. This is how, for Rüsen, a sense for history develops. But this sense is by no means the anthropological constant that Rüsen considers it to be. Rüsen’s historical sense has, namely, its own historicity because it carries the marks of progress that once belonged to the project of post-war modernity. At that time, the future was seen as an era that could be controlled and planned by rational means. Thus, historical thinking targets orientation in the future, also for Rüsen. With the scientification of historiography, according to the accompanying teleological story, this future will become more humane, more convincing, better. The representatives of the “post-modern” have lost their faith in predictable progress since the 1970s. The extent to which such skepticism has taken its leave from the modernity project or, in fact, has continued and radicalized it, is controversial. The only sure thing is a distancing from the past of the post-war period and its future of predictable progress. The present thus finds itself in a “post” and it is the task of (post-) modern historiography to explore this place. Such a “history of the present” (Foucault) does not demand that contingency be overcome narratively. Quite the opposite: it is about generating historical narrations that make the contingency of the present portrayable, visible. The price to be paid is to say farewell to a future in which one can, thanks to a sense for history, find orientation and gain a clear identity. The pain of this farewell is evident in Rüsen’s text. But, sadly, not the passion and the freedom. Burke, Edmond: Reflections on the Revolution in France. 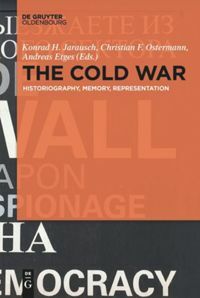 A Critical Edition, Stanford 2002. Rüsen, Jörn: Historische Vernunft. Grundzüge einer Historik, Band 1: Die Grundlagen der Geschichtswissenschaft, Göttingen 1983. Zeitgeschichte nach 1970, Göttingen 2008. Foucault, Michel: Discipline and Punish: The Birth of the Prison, New York 1975. Dass moderne – oder hier eben “postmoderne“ – Menschen den “historischen Boden unter ihren Füßen verloren“ hätten, gehört zu den Topoi konservativen Denkens seit Edmund Burkes “Reflections on the Revolution in France“. Insofern könnte man darauf Achsel zuckend reagieren und sich auf das Körnchen Wahrheit in Jörn Rüsens Text konzentrieren, dass die “Post-Ismen” etwas gar viele geworden sind und hie und da zu einer bequemen Form der Selbstbeschreibung verführen. Ich stimme dem interessanten Kommentar von Andreas Körber vollständig zu. Allerdings zeigen sich meines Erachtens in der Kritik Rüsens am “Post-Ism” grundlegende Probleme seiner Historik: Zur Disposition steht das Verhältnis historischen Denkens zur Kontingenz und – seit Edmund Burke! 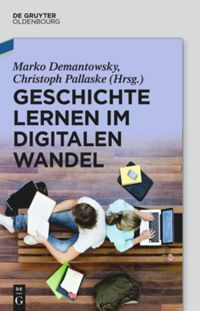 – zur Moderne. Das anthropologische Modell Rüsens beauftragt den Menschen, dank historischem Denken die Kontingenz der Zeit narrativ zu verarbeiten und zu überwinden. So entsteht bei Rüsen historischer Sinn. Dieser Sinn ist allerdings keineswegs jene anthropologische Konstante, die sich Rüsen denkt. Der historische Sinn Rüsens hat nämlich seine eigene Historizität, indem er die Zeichen des Fortschritts trägt, die zum Projekt der Nachkriegs-Moderne gehörten. Zukunft erschien damals als Zeit, die mit rationalen Mitteln steuer- und planbar war. Historisches Denken zielt denn auch bei Rüsen auf Orientierung in der Zukunft ab. Mit der Verwissenschaftlichung der Geschichtsschreibung, so die dazugehörige teleologische Geschichte, wird diese Zukunft humaner, “triftiger“, besser. Der Glaube an einen planbaren Fortschritt ist den VertreterInnen der “Postmoderne“ seit den 1970er-Jahren abhandengekommen. Wie stark sich eine solche Skepsis tatsächlich vom Projekt der Moderne verabschiedet oder es vielmehr weiterführt und radikalisiert, ist bekanntlich umstritten. Gewiss ist einzig eine Distanz zur Vergangenheit der Nachkriegszeit und ihrer Zukunft des planbaren Fortschritts. Die Gegenwart befindet sich deshalb in einem “Post“, und es ist die Aufgabe (post-) moderner Geschichtsschreibung, diesen Ort zu erkunden. Eine solche “Geschichte der Gegenwart“ (Foucault) beansprucht nicht, Kontingenz narrativ zu bewältigen. Im Gegenteil: Es geht darum, historische Erzählungen zu generieren, die die Kontingenz der Gegenwart darstellbar, sichtbar machen. Der Preis dafür ist der Abschied von einer Zukunft, in der man sich dank historischem Sinn orientieren und eine klare Identität gewinnen kann. Der Schmerz dieses Abschieds ist in Rüsens Text spürbar. Die Lust und die Freiheit leider nicht. Foucault, Michel: Überwachen und Strafen, Frankfurt a. M. 1976, S. 43. In his contribution on “post-ism”, Jörn Rüsen complains, that based on the interrelationship between past, present, and future, the latter was regarded as little promising today: The Humanities would indirectly or even directly describe the future as blank. Interestingly, one term is notably absent from Rüsen‘s list of “post-isms”: “Post-Histoire”. Posthistoire refers to a discussion that culminated in the second half of the 1980s and the early 1990s. The many different and partly very technical readings clustered around phenomena such as (societal) stagnancy, loss of meaning and lack of expectations for the future. A way to address these missing future expectations was the turn to the past or in the often quoted words of Gottfried Benn, “calculating with the stocks”. However, what is being perceived in academia today as a positive turn of the broader public towards a better understanding of the past, which was displayed by a boom in exhibition numbers and museum openings, had often been received as the exact opposite by the contemporaries: as the end of moving forward, as a mere preservation (of evidence) or just as an accumulation of the past. As a consequence of eclecticism and specialization the willingness of historians to take stands on larger historical contexts has given way to despondency or even anxiety about delivering statements on current and future issues. If statements are being made at all, it is feared that they remain on an amateurish level at best, compared to the level of one’s own specialized knowledge. One result is that historians prematurely withdraw from the field of public debate. The polyphonic silence of individual researchers/historians especially surprises, because of the public’s relatively high expectations towards the profession. And precisely for this reason Rüsen’s demand for the reflection on the practice of historians and the public use of history seems perhaps more urgent than ever. Whether the question of the meaning of the “post” can be clarified, is certainly not the decisive factor. Perhaps the process of reflection should be less about external circumstances but should focus on the (research) activities of (public) historians themselves. These activities can be influenced and even changed easily and thus help to identify potential for future improvements. If Public History is perceived as a collaborative project, which includes the active participation of very different individuals and groups, than this basic reflection should be given more room in the education and the work of historians. Perhaps it is easier to describe our present and/or remember that our relationship to the past, to history and memory, always includes desires, something orientated towards the future. See Meyer, Martin: Ende der Geschichte? (Edition Akzente), München/Wien: Hanser 1993. See Benn, Gottfried: Der Ptolemäer. Berliner Novelle, in: ders., Der Ptolemäer, (Cotta’s Bibliothek der Moderne 72), Stuttgart: Klett Cotta 1988, S. 91-145. See. Pörksen, Bernhard: Die Angst des Geisteswissenschaftlers vor den Medien, in: Pop. Kultur und Kritik 1 (2012), Heft 1, S. 21-25. See the contributions in: Beck, Ulrich/Mulsow, Martin (Hrsg. ), Vergangenheit und Zukunft der Moderne, Berlin: Suhrkamp 2014. Jörn Rüsen beklagt in seinem Beitrag zum “Post-ism“, dass – bezogen auf die Wechselbeziehung der Trias Vergangenheit, Gegenwart und Zukunft – gerade letztere heute kaum viel versprechend konnotiert sei: In den Geistes- und Sozialwissenschaften würde sie mittelbar oder sogar unmittelbar als Leerstelle beschrieben. Interessanterweise kommt in Rüsens Liste der “Post-ismen“ ein Begriff nicht vor, der man in diesem Zusammenhang hätte erwarten können: nämlich der des “Post-Histoire“. Dieser steht für eine Diskussion, die in der zweiten Hälfte der 1980er und am Beginn der 1990er Jahre ihren Höhepunkt erlebte. Ihre unterschiedlichen und zum Teil auch sehr disziplinspezifischen Lesarten rankten sich ebenfalls um Phänomene wie Stillstand, den Verlust von Sinn und fehlende Zukunftserwartungen. Als ein Weg, diesen fehlenden Zukunftserwartungen zu begegnen, wurde dabei die Hinwendung zur Vergangenheit oder in den vielfach zitierten Worten Gottfried Benns, das “Rechnen mit den Beständen“ angesehen. Aber was heute als Ausstellungsboom und Welle an Museumsneugründungen nicht nur in der Public History im Sinne einer positiv verstandenen Hinwendung breiter Teile der Öffentlichkeit zur Vergangenheit wissenschaftlich untersucht wird, erschien den Zeitgenossen nicht selten als das genaue Gegenteil: Als Ende der Suche nach dem Neuen, als Spurensicherung und universelles Sammeln aus einem reichen Fundus. Eine der Folgen von Eklektizismus und Spezialisierung war, dass gerade auch unter HistorikerInnen die Bereitschaft, Aussagen über größere geschichtliche Zusammenhänge zu machen, einer Verzagtheit, beinahe einer Ängstlichkeit gewichen ist, gemessen am Niveau des eigenen Spezialwissens allenfalls dilettantische Feststellungen zu wichtigen (Zukunfts-)Fragen liefern zu können. Eine Folge ist, dass das Feld der öffentlichen Deutungen mitunter voreilig geräumt wird. Das vielstimmige Schweigen einzelner WissenschaftlerInnen überrascht auch deshalb, da die gesellschaftlichen Erwartungshaltungen an die Profession weiterhin als vergleichsweise hoch eingeschätzt werden dürfen. Deshalb scheint die von Rüsen eingeforderte Reflexion der Praxis von HistorikerInnen und der öffentlichen Verwendung von Geschichte dringender geboten denn je. Ob dabei die Frage nach der Bedeutung des “Post-“ geklärt werden kann, ist nicht die Entscheidende. Vielleicht sollte es im Rahmen der Reflexion weniger um die äußeren Umstände, denn um das eigene praktische Handeln (als WissenschaftlerIn, als HistorikerIn etc.) gehen. Dieses lässt sich vergleichsweise leicht beeinflussen und hilft somit, Verbesserungspotenziale für die Zukunft zu identifizieren. Wenn man Public History als ein kollaboratives Projekt auffasst, das nach Möglichkeit die aktive Beteiligung unterschiedlicher Individuen und Gruppen miteinschließt, dann muss dieser basalen Reflexion auch in der Ausbildung sowie Arbeit von HistorikerInnen mehr Platz eingeräumt werden. Vielleicht fällt es dann zum einen leichter die Gegenwart zu beschreiben und/oder zum anderen daran zu denken, dass unsere Beziehung zur Vergangenheit, zur Geschichte und zur Erinnerung immer durch Wünsche, also etwas in die Zukunft Weisendes, angeregt wird. Vgl. Meyer, Martin: Ende der Geschichte? (Edition Akzente), München/Wien: Hanser 1993. Vgl. Benn, Gottfried: Der Ptolemäer. Berliner Novelle, in: ders., Der Ptolemäer, (Cotta’s Bibliothek der Moderne 72), Stuttgart: Klett Cotta 1988, S. 91-145. Vgl. Pörksen, Bernhard: Die Angst des Geisteswissenschaftlers vor den Medien, in: Pop. Kultur und Kritik 1 (2012), Heft 1, S. 21-25. Siehe zu diesem Aspekt zuletzt die Beiträge in: Beck, Ulrich/Mulsow, Martin (Hrsg. ), Vergangenheit und Zukunft der Moderne, Berlin: Suhrkamp 2014. Die Diskussion würde gewinnen, wenn man sich bei der Vermittlung kultureller Grammatik ähnliche Mühe gegeben hätte wie bei der Vermittlung englischer. Das Hantieren mit erkenntnistheoretischen Fragestellungen wirkt insgesamt unbeholfen. Frontlinien werden vereinfacht, eigene Dogmatismen nicht gesehen. Dass postmoderne Menschen den Boden unter den Füßen verloren hätten, ist ja nicht nur ein “Topos Konservativer”, sondern immer wieder Werbespruch der Postmodernen selber. Auch Herr Weber genießt das postmoderne Bungee-Jumping offensichtlich – kein Wunder, erweist sich das eigene postmoderne Dogma doch als belastbares Seil, mit dem man – institutionell abgesichert – fröhlich durch die Lüfte springen kann. Dass Herr Weber “Weltgeist” spielt und Rüsen im Grunde als anachronistischen Meckerer abqualifiziert, zeigt, dass er die Postmoderne noch nicht vollständig verinnerlicht hat, sondern immer noch am Seil des Dogmatischen hängt (auch wenn es postmodern-bunt angemalt ist). Doch die Postmoderne lässt sich nicht dogmatisieren, ohne in den Schwachsinn abzugleiten. Sie bezahlt und duldet auf Dauer auch keine “Propheten” ihrer selbst. Während Weber sich von der Planungsideologie der 70er Jahre distanziert, führt Herr Körber diese Planungsideologie in Form der Kompetenzpädagogik ungeniert weiter. Chaotisiert wird bei Körber nur auf der Ebene der Inhalte, und diese Gespaltenheit seines Zugangs führt dann auch zu einer etwas differenzierteren Position in der Subjektivismus-Objektivismus-Frage, die anerkennt, dass es ganz ohne objektiven Referenzrahmen dann doch nicht geht. Insofern “eiert” Körber, wo Weber entschlossen nach vorne schwebt. Den Nihilismus solcher Diskussionen hat Rüsen zu Recht angeprangert. Die Gefahr von Willkür-Logik (inkl. Holocaust-Leugnung) scheint im subjektivistischen Geschichtszugang immer wieder auf. Insofern: not amused. Gemeinsam gegen RELLER (reduzierte Lehrerinnen-und-Lehrer-Rationalität)! Together against RETTER (reduced teacher and teacher rationality)! The criticisms of my theses, for which I am grateful, require some corrections, replies, and explanations. What has to be set right is the criticism offered by Bublitz and Weber (with an honorable mention of Edmund Burke) that my considerations are due to a conservative political attitude. Apart from the facts that conservatism eo ipso does not lead astray and that political positions do not determine the correctness or misdirection of arguments, the teachings about meaning of the post-displacement [Ver-rücktheit] also hold valid for leftwing attitudes. What would have happened to socialism if it had re-named itself ‘post-capitalism’? It would have lost sight of the concretizable future that it wants to make plausible as an orientation target for current political practice. It cannot be denied, on the basis of historical theory, that a perspective for the future (even if it is a negative one) is part and parcel of historical consciousness. Memory and expectation are intimately connected in people’s consciousness of time. A firm separation can only occur at the expense of a loss of time in people’s orientation to the world. The fact that Weber implies that I have a teleological vision of a plannable future only demonstrates that he is not familiar with my work on historical theory. History follows a logic that differs from that of planned rationality. ‘Expectation’, a mental attitude, cannot be denied, either as a basic anthropological phenomenon or as playing role in the formation of specific historical criteria for meaning. There is no ‘leave-taking from the future’ (this is exactly what my criticism of post-ism says) but there is an intellectual empty space in the consideration of history. Weber wants to save contingency from its destruction by (my supposed) planning rationality. What does he mean by this? Probably, the historicity of the human world, which I, naturally, do not want to eliminate but, instead, make it understandable. This is also what my critic wants, so there is still hope for reaching an agreement. Arendes confirms my demand to reflect on the practice of history, in order to avoid maladjustments. However, he cannot find the post-histoire in my criticism. Indeed, this is, for me, something quite different. It would have deserved a careful examination of its thesis about the end of history as well as a confrontation with the fundamental temporal constituents of historical consciousness. Here, also, the future is cut off and the temporal constellation of human life practice is mutilated, but it is about the end of history and that is exactly not what the intellectual games of post-ism claim. Something is supposed to follow, ‘afterwards’. What remains is Andreas Körber’s commentary. In his opinion, all post-localizations are genuinely historical; in the end, historians have always thought at a point in time that came later than the imagined past. This is, of course, true, but this argumentation bypasses the problem that I wanted to refer to: the intellectual emptiness, the bottomlessness of this ‘afterwards’. History is naturally about a ‘definition of the present in its relationship to the past’, but what does post-ism say about the present, what does post-ism contribute to the dialog of the times? A pure, an empty ‘afterwards’. That is not enough. We should subject ourselves to the effort of making our heuristic more evocative. Die Kritik an meinen Thesen, für die ich mich bedanke, fordert einige Richtigstellungen, Erwiderungen und Erläuterungen heraus. Richtig zu stellen ist die Kritik bei Bublitz und Weber (mit einem ehrenvollen Hinweis auf Edmund Burke), meine Überlegungen verdankten sich einer konservativen politischen Einstellung. Abgesehen davon, dass Konservativismus nicht eo ipso in die Irre geht und politische Positionierungen nicht die Richtigkeit oder Irreführung von Argumenten bestimmen, dürfte die Sinn-Lehre der Post-Ver-rücktheit auch für linke Einstellungen gelten. Was geschähe z.B mit dem Sozialismus, wenn er sich in ‘Post-Kapitalismus’ umbenennte? Er hätte die konkretisierbare Zukunft aus den Augen verloren, die er als Orientierungsziel gegenwärtiger politischer Praxis historisch plausibel machen will. Dass eine Zukunftsperspektive zum Geschichtsbewusstsein gehört (und sei es auch eine negative), dürfte sich geschichtstheoretisch nicht bestreiten lassen. Erinnerung und Erwartung sind im menschlichen Zeitbewusstsein aufs engste verknüpft. Wenn man sie entschieden trennt, geht das nur auf Kosten eines Zeitverlustes in der menschlichen Weltorientierung. Dass Weber mir die teleologische Vorstellung einer planbaren Zukunft unterstellt, zeigt nur an, dass er meine geschichtstheoretischen Arbeiten nicht kennt. Geschichte folgt eben einer anderen Logik als derjenigen der Planrationalität. ‘Erwartung’ als mentale Einstellung lässt sich als anthropologisches Grundphänomen ebenso wenig leugnen wie seine konstitutive Rolle bei der Bildung spezifisch historischer Singkriterien. Einen “Abschied von der Zukunft” gibt es nicht (genau das besagt ja meine Kritik am Post-ismus), wohl aber eine intellektuelle Leerstelle im Bedenken der Geschichte. Weber will die Kontingenz vor ihrer (mir unterstellten) planrationalen Vernichtung retten. Was meint er damit? Wohl die Historizität der menschlichen Welt, die ich natürlich nicht beseitigen, sondern verständlich machen will. Das will mein Kritiker auch. Es gibt also noch Hoffnung auf Verständigung. Arendes bestätigt meine Forderung, die Praxis der Historie zu reflektieren, um Fehleinstellungen zu vermeiden. Er vermisst allerdings in meiner Kritik die Post-Histoire. In der Tat: Die steht für mich auf einem anderen Blatt. Sie hätte es verdient, mit ihrer These vom Ende der Geschichte kritisch unter die Lupe genommen und mit dem fundamentalen zeitlichen Konstituenten des Geschichtsbewusstseins konfrontiert zu werden. Auch hier wird die Zukunft abgeschnitten und die Zeitfigur der menschlichen Lebenspraxis verstümmelt, aber es geht um das Ende der Geschichte, und das wird in den intellektuellen Spielchen des Postismus gerade nicht behauptet. Es soll ja etwas ‘danach’ kommen. Bleibt der Kommentar von Andreas Körber. Für ihn sind alle Post-Situierungen genuin historisch; schließlich dächten die Historiker immer von einer späteren Position aus als derjenigen der gedachten Vergangenheit. Das ist natürlich richtig, aber mit dieser Argumentation wird das Problem umgangen, auf das ich hinweisen wollte: die geistige Leere, die Bodenlosigkeit dieses ‘Danach’. Der Historie geht es natürlich um eine “Bestimmung der Gegenwart in ihrem Verhältnis zur Vergangenheit”, – aber was bringt der Postismus von der Gegenwart zur Sprache, was bringt er ein in die Zwiesprache der Zeiten? Ein pures, ein leeres ‘Danach’. Das ist zu wenig. Wir sollten uns schon der Mühe unterziehen, unsere Heuristik sinnträchtiger zu machen.